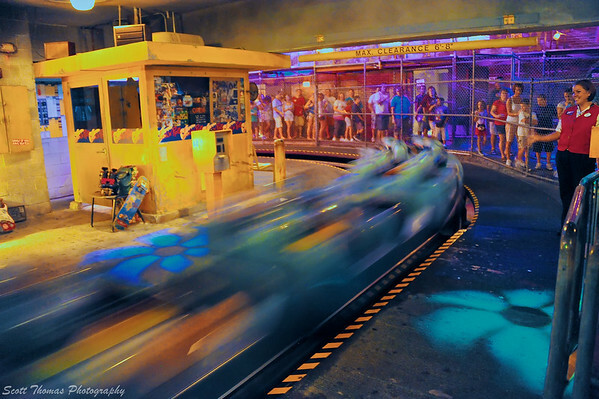 Noise Ninja helped clean up this photo from the Rock 'n' Roller Coaster at Disney's Hollywood Studios. Nikon D700/28-300VR, 1/5s, f/3.5, ISO 8000, EV -0.3, 28mm focal length. Here’s a few more photographic gems from my burgeoning library of Favorite tweets. As I mentioned last week I will be starting Kent Weakley’s Night Photography eClasses today (it’s not to late to join in!) so this first tweet is something I will be studying very closely. One of the first plug-ins I purchased for Aperture 3 was Noise Ninja by Picturecode. It cleaned up my Nikon D70 hockey photos taken at ISO 1600. These days with the Nikon D700, the ISO needs to be a lot higher before I need to clean them like the photo I took inside the Rock ‘n’ Roller Coaster above. This tweet will lead you to a review of the software. Summer is coming and many of us are planning trips to new and exciting places. If you are like me and a tripod is always included in your luggage then you will get some excellent tips in this next tweet. My favorite photographer on Twitter, Scott Bourne, besides sharing photographic tips, has a way of cutting through all that and reminding us what we love to do best, make great photographs. Here is one of his tweets about how to keep things creative. This tweet is for the sure joy of seeing. These are the kinds of re-tweets I send out each day from @sthomasphotos if you would like to follow me. Until next time, May the Tweets be with You! This entry was posted in Photography and tagged 28-300mm, disney's hollywood studios, dslrtips, florida, nikon D700, social media, tweets, twitter, vr, walt disney world. Bookmark the permalink.